The now-infamous Southern California wildfires (otherwise known as the Woolsey Fire) are still raging on. As residents of Los Angeles, we can attest to this. Though our office is far from the threat of the flames, we've smelled the smoke and seen the red haze cover the sky. So even though some evacuation notices have (thankfully) been lifted, the devastation caused to the communities of L.A. and Ventura counties is nothing short of horrific. Some people lost their pets, some lost their homes, and some even lost their family members. As such, relief efforts are in full force. There are a number of different organizations that you can donate to directly. (Click here to see more information about verified charities and outreach centers.) Yet why not help in other ways, too? Namely by giving some love to a few specific beauty brands that are donating a percentage of their sales to the cause? Keep scrolling to see the beauty brands that are supporting wildfire relief efforts. 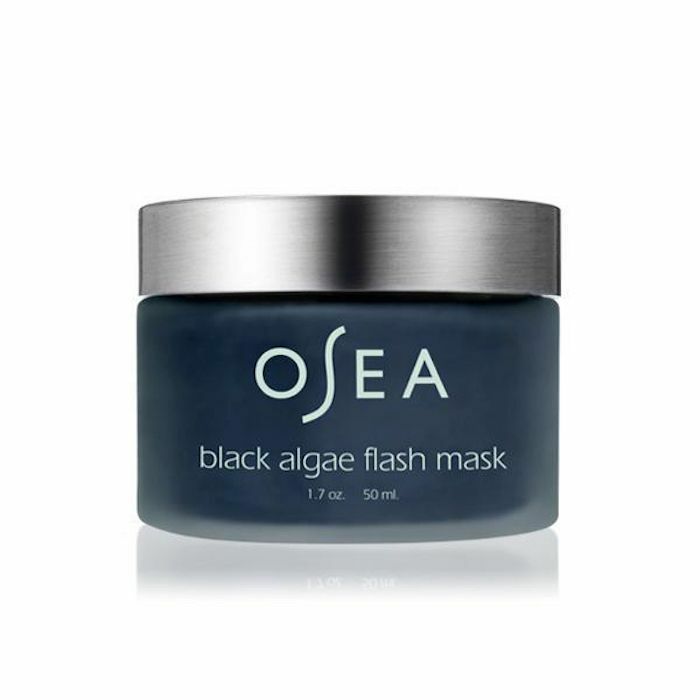 Osea is a skincare line that was founded in Malibu. The brand's founder took to Instagram to update everyone on their status. "We are very sad to report that we've lost our family home in the Woolsey Fire," she wrote. "It was a magical little cottage where our parents were married, we grew up, and where OSEA was born, our truest source of inspiration and our anchor. Up until 5 months ago it was also home to the main OSEA office. We are grateful beyond measure that our business is safe." "Our Mom has always told us that OSEA is taking us on a journey and we are simply meant to follow its path," she continued. "This hasn't always made sense but today it makes more sense than ever; we are certain the path is to now help our community." As such, the brand will be donating 100% of its profits from now up until tonight. That's right, 100%. So if you've been itching to stock up on plant-based skincare, there's no better time than now. Our first recommendation is this organic seaweed cleanser, which removes dirt, makeup, and buildup with ingredients like vegan lactic acid, lime, cypress, juniper, and jasmine essential oils. It's gentle on the skin yet effective at ridding it from impurities. Anti-pollution skincare combats damaging free radicals, keeping them from harming and/or aging skin. 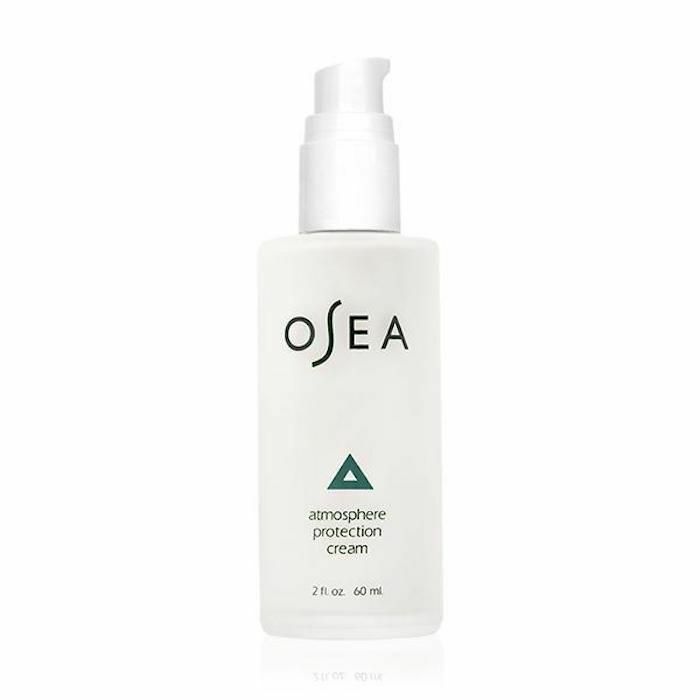 This one protects against wind and air pollution with organic algae, shea butter, and avocado oil. It smells lovely, too, thanks to pure lavender and geranium. 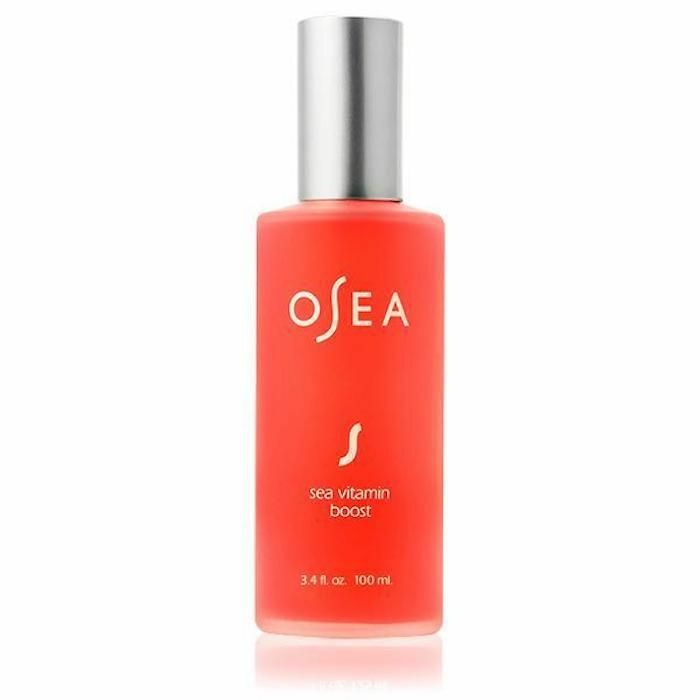 If you're looking for a face mist that doubles as a vitamin booster, this Osea Sea Vitamin Boost is for you. Spritz it over your skin to lock in moisture and provide a radiant glow to otherwise dull skin. 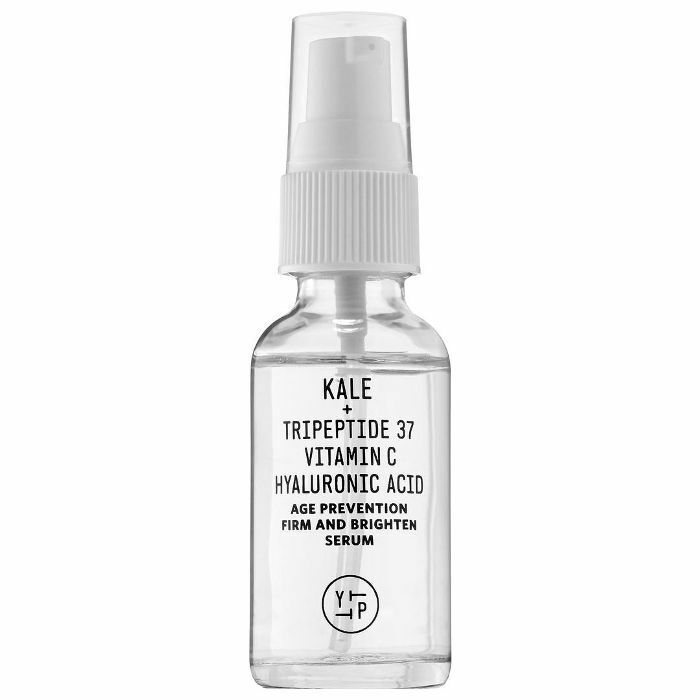 The secret is in the brand's organic algae, pomegranate, and resveratrol. Now for one of our favorite skincare indulgences: a face mask. In this one, fig, pineapple, and pumpkin enzymes exfoliate the skin chemically, while eco-friendly jojoba beads provide manual exfoliation. Hematite and organic algae hydrate the skin and prevent irritation. 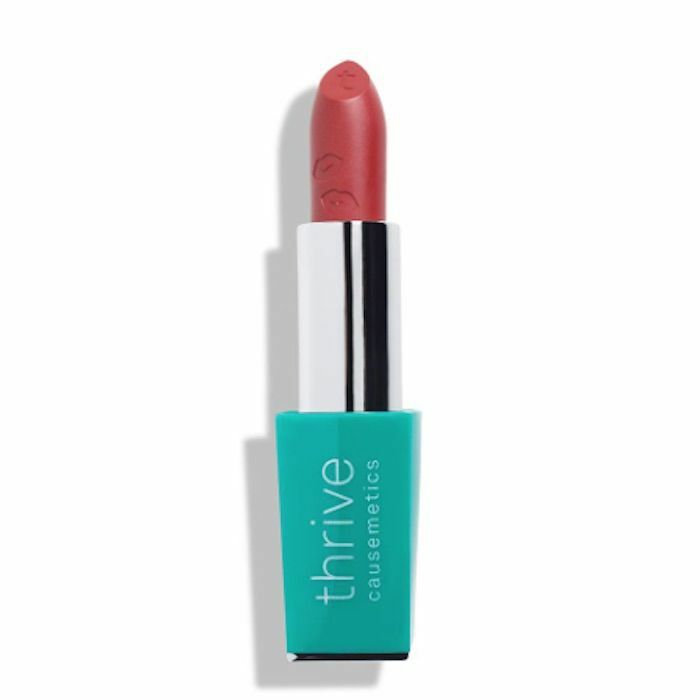 Thrive Causemetics is another brand donating to various relief organizations. Last week, the brand committed to donating 100% of every sale for a full day. On top of that, if you repost its Instagram image using #thrivecausemetics, it'll immediately donate $5, no purchase necessary. That's exactly the kind of social media outreach we like to see. 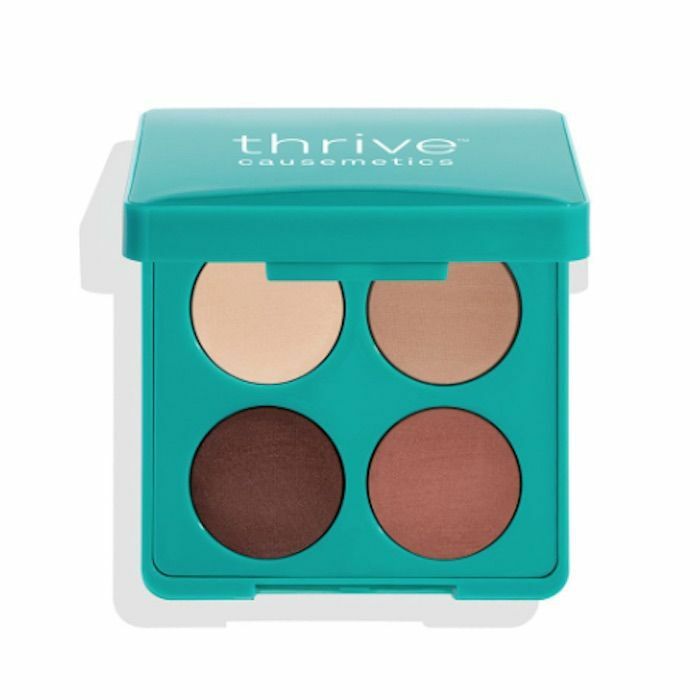 This four-shade eye shadow palette is perfect for anyone who prefers matte powders over their shimmery counterparts for daily wear. What's really unique about this palette is that each shadow is water-resistant, so it'll stay put even in a freak-rainstorm encounter. This lipstick offers sheer-to-full coverage, which means you can wear it like a tinted lip balm or layer it for a more opaque finish. Thanks to a combination of natural waxes and hydrating ingredients, it feels comfortable and stays put without the need for a primer. 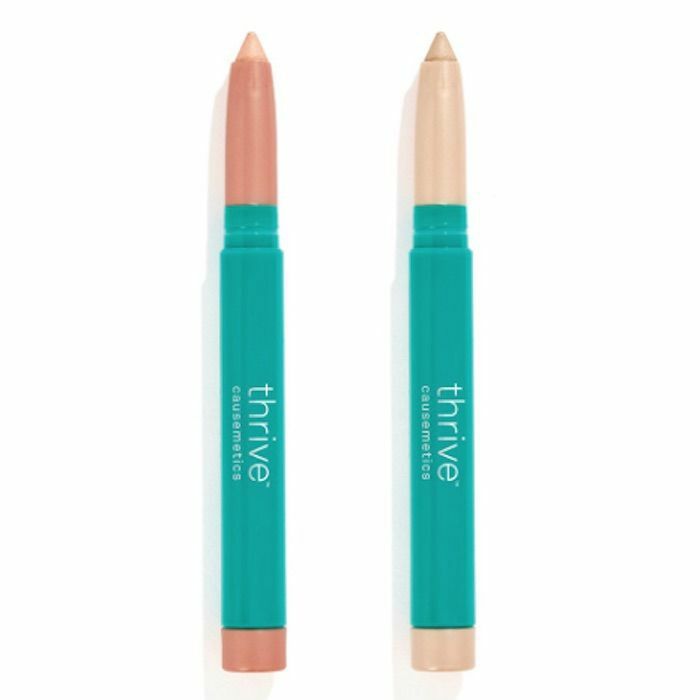 This eye brightener is a light-reflecting eye shadow duo that can be applied on the brow bone and inner corners or all over the lid as a traditional cream eye shadow. 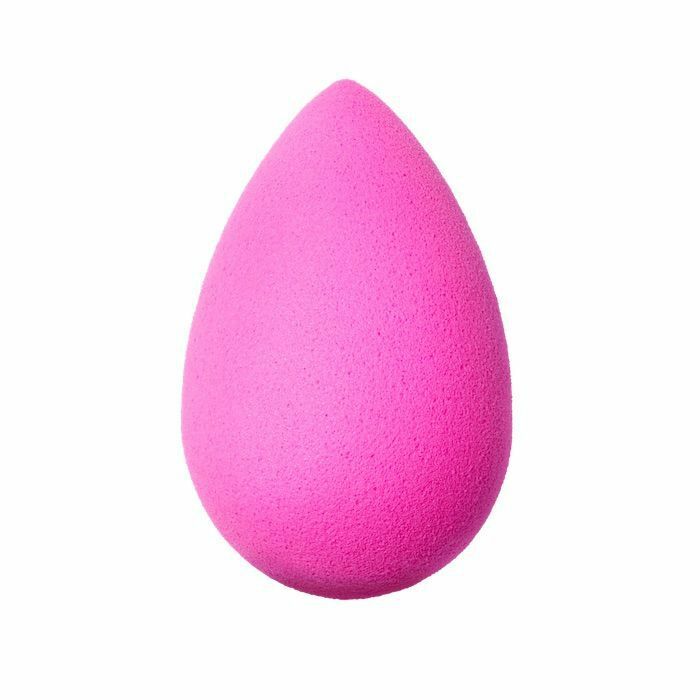 It's vegan and waterproof, which makes it one of our favorite eye-opening products. 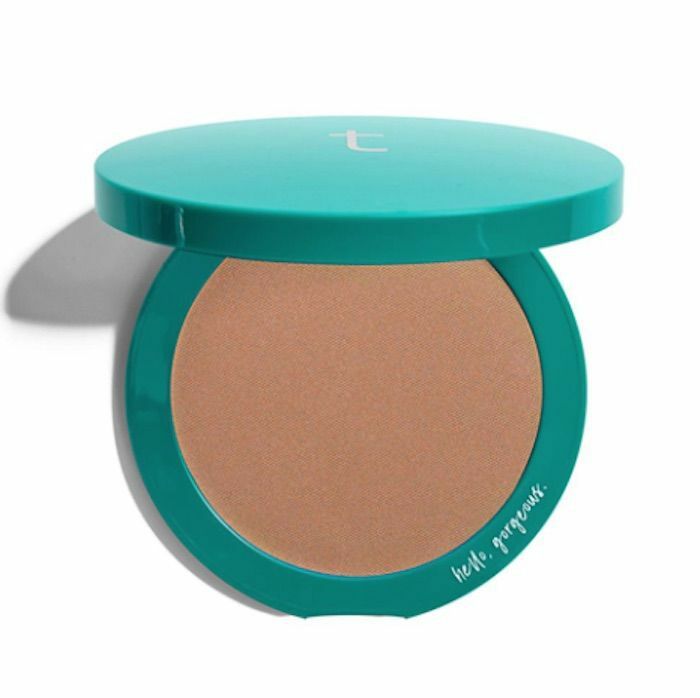 This bronzer marries skincare and makeup thanks to a combination of sodium hyaluronate and vitamin B5, which hydrates and plumps the skin as you wear it. Dust it all over your skin for a sun-kissed glow or apply it under the cheekbones as a powder contour product. Throughout the entire day, on November 27, Youth to the People will be donating 100% of its sales to California wildfire relief. Place an order for any one of the brand's superfood-infused skincare products to benefit the cause. By the way, the fact that this brand houses its formulas in glass as opposed to plastic makes it environmentally friendly, too. This age-prevention cleanser is one of the brand's buzziest products. It's marketed as a "daily green juice cleanse for your face" since it has a bevy of cold-pressed antioxidants and phytonutrients from ingredients like kale, spinach, and green tea. This moisturizer uses adaptogenic herbs to calm and moisturize the skin (herbs like ashwagandha, rhodiola, reishi, and holy basil to be exact). It even defends against environmental stressors. If you're a lover of facial oils, try this one from Youth to the People. It uses maqui, açaí, prickly pear, and goji berry extracts to nourish the skin with antioxidants and give it a serious glow. The brand's original moisture cream is lightweight and hydrating (which is exactly what you'd expect from a hyaluronic acid cream). Like all other Youth to the People products, it includes a blend of superfood ingredients to boost the skin's health. We especially like this firming and brightening serum, which combines vitamin C, peptides, and hyaluronic acid to smooth fine lines and wrinkles, address uneven tone, and firm skin. All proceeds from online orders for the brand's Fire Relief Set that are placed within the U.S. will be directly donated to wildfire relief efforts that benefit animals that have been injured or displaced by the fires. More specifically, it will go to organizations such as the North Valley Animal Disaster Group, MAD Dog Rescue, and Marin Humane. We don't know about you, but that makes us want to buy one set for us and one for each of our friends. 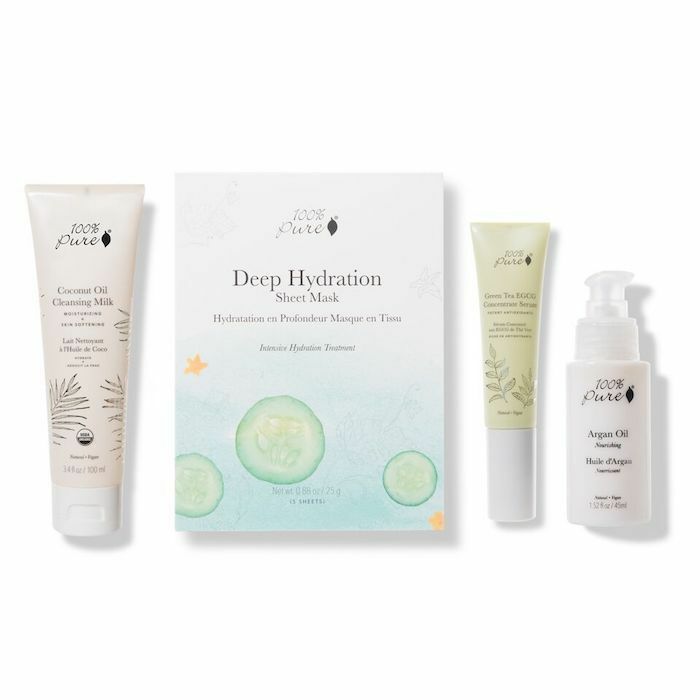 Each set includes a coconut oil cleansing milk, a hydrating sheet mask, a green tea concentrate serum, and pure argan oil, which means your skin and hair will also benefit from the purchase. By the way, it's being offered up for $120, even though the actual retail value is $149. We're detecting a good holiday gift. It's also important to note that for a full day last week, Beautyblender made the same promise to donate proceeds to wildfire relief Although its donation period is over now, we want to give attention and praise to any brand that participates in such a good cause. Our thoughts are with everyone who has been displaced or affected by the wildfires. Next, keep with the spirit of giving by checking out eight other ways to give back if you're obsessed with makeup.